PORTLAND RED TRIANGLE YOUTH CRICKET TEAM 1960. BACK ROW, L: TO R:- RALPH STONE, DAVID CUTTING, CLIVE CAMPBELL. 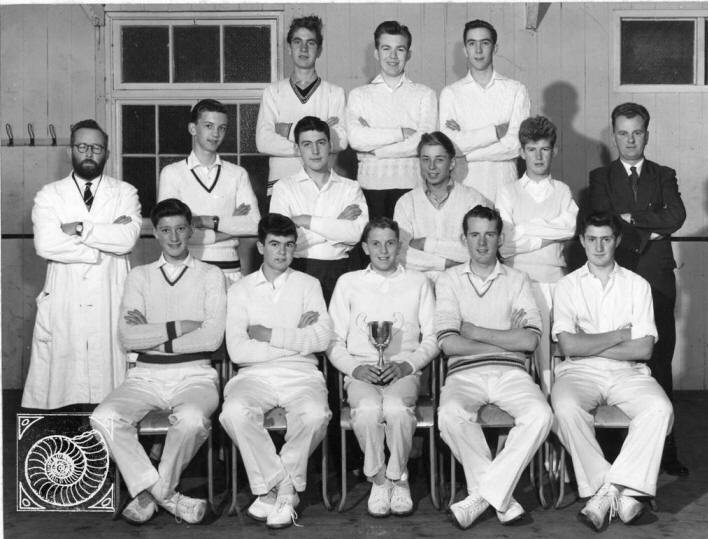 MIDDLE ROW, L: TO R:- NORMAN CARLINE, ROGER UPWARD, ALAN PEPPERELL, DEREK CRIBB, GRAHAM SCOVELL, JACK SANSOM. FRONT ROW, L: TO R:- JOHN COMBEN, DAVID BAXTER, KENNY RODENHURST, MICHAEL WHITE, STUART CAINES.